Feeling sick during the week or weekend and can’t get in to see your primary care doctor? There’s a new alternative to the busy Emergency Department! The Venice Walk-in recently expanded their hours to every day of the week. They are now open seven days a week from 7 a.m. – 7 p.m. The Venice Walk-in Center, conveniently located near the corner of U.S. 41 Bypass and Center Road. There are no appointments necessary and wait times are much shorter than a typical Emergency Department or Urgent Care Center. The Walk-in is now accepting new patients, and you don’t have to be an established Millennium Physician Group patient to utilize the convenient services. Most insurance plans are accepted and self-pay patients are always welcome. 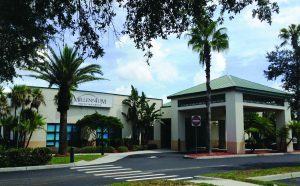 Millennium’s family-friendly Walk-in Medical Center provides treatment for all of your urgent care needs, such as colds, sore throats, flu, rashes and earaches. Our physicians also treat non-life threatening emergencies like sprains, abrasions, and burns. Our Walk-in Medical Center team knows that when you visit our Center, you want to feel better quickly and without a lot hassle. No need to wait in an emergency room or wait to schedule an appointment with your physician, the Walk-in Medical Center can see you today. Skip the Wait! No need to wait hours at a local Emergency Room or busy Urgent Care Center. Millennium’s Walk-in Medical Centers now have a feature to allow you to view all of the wait times at their Walk-in facilities. You simply “skip the line” by pre-registering for a time that you would like to be seen for the day and you get to “skip the line” when you arrive. If the provider is running behind you will receive a text messaging letting you know to come in a few minutes later, reducing your overall wait time. Log-on to www.MillenniumPhysician.com and select “Skip the Line” at the top of the webpage. View the wait times and get in line to feeling better today!